WordPress is a great CMS and has a nice feature for uploading files. That is the media uploader which can be found inside the WordPress administration. In this tutorial we will not use the media uploader. We will develop our own WordPress file upload using AJAX and PHP. The code used in this tutorial can be reused inside a theme or a plugin so feel free to experiment with it and create your own uploader. This tutorial will show you the code that can be used inside the WordPress administration or even on the front end. using WordPress API – wp_handle_upload which will upload the file using the defined upload structure. Default structure is year/month inside the uploads folder. The first element inside the form will be used to append upload messages such as a success message or even a failure message. Next one is the element #ibenic_file_upload and inside that element we will have the input which we will call upon clicking the #ibenic_file_upload. The other element which is hidden is #ibenic_file_upload_preview and this element will be used to show the uploaded file. It will also have a button to delete the uploaded file. We will add some simple styling to our form so that it can have a simple and slick look. You can change it on your own later but for now let’s just use this one. I will explain the trick we have used with our CSS. First we need to enqueue our CSS. You could also just create a style tag before our form so you do add another HTTP request. I am showing you how to enqueue a style so that you can use that knowledge for your own plugin or theme. The two main containers with the class .file-upload were given a property position with the value relative. declaring such property we can then position other elements inside that containers how we want. Our input is then positioned absolutely on the container with the widht and height set to 100%. In that way we have stretched our input element across the whole container. We did set the opacity to 0 because in that way the input is still clickable even thought we can’t see it. With that trick we now have a clickable container which will open the pop-up to select a file for upload. Here we are setting the path to our file which in this example resides inside the folder js which is inside a folder assets. The file is also dependant of jQuery which we defined inside the array. The last boolean value defines if the script will be placed in the footer or in the header. We are placing it in the footer. Here we are setting a click event on the element #ibenic_file_upload. This function that we are setting makes sure that the input will be clicked and that the window for choosing a file will open up. We are also setting an event trigger when the value of our input changes. This means that when we add a file to our input element, a function named prepareUpload will trigger. This function will prepare our data with the chosen file. This function will also create an AJAX call on our site. Here we are setting some defaults for the AJAX call and the success callback function that will be called when the AJAX is successfully completed. This means that the server returned a 200 response. If there was a 40x or 50x error status an error callback function will be called if that function was defined. In the success callback function we will need to define everything related to showing the file preview and the delete button, but also hiding the current element that we are using for uploading the file. We will now create the rest of the code for the AJAX success even though we do not have any PHP functionality yet. Here we are checking if the data object (JSON) has a property named response with a value of SUCCESS. If that is the response value then we will check if the data sent is of type image (jpeg, jpg, png or gif). If that is true then we will create an image element with the url to the image. If the file is not an image then we will just show its filename. The created image or the filename will be appended to the element #ibenic_file_upload_preview. We target it by getting the ID of the first element which is used to upload the file: ibenic_file_upload. We then concatenate it with the string _preview so that we get the ID of the element for previewing the uploaded file. We are also setting the uploaded filename on the delete button so that when we click on the delete we will know which file to delete. All that data that we are checking and setting (url, filename, response and type) are actually properties that will be set on the backend code with PHP. The delete button and the delete functionality will be written later in this tutorial. At the end of the function we have also added the function die(). Since we are creating a AJAX call on the admin_ajax.php file we do want to stop the reading process when we have already sent the required data as the response. Now with the variable $data we can read all the data that is sent by the AJAX call. Now that we have set our data in a variable, we can move on and start uploading our file. The first example is an example with the WordPress API wp_handle_upload. To read more about this function follow this link. We are first defining an empty variable response to hold the response. After that we are using the wp_handle_upload function to upload the file. In this function we are sending the data of the file uploaded. Since we are appending that file data to the key ibenic_file_upload in the AJAX call, we are also referencing that data with the same key. The other data that is passed to this function is an array with some overrides. Since we are not sending this directly from a form but from an AJAX call we will not test the form. If there was an error, then we are just sending the error message with an ERROR response. At the end we are echoing that variable which is encoded in JSON. You can try to upload a file now and see if the image will show in the box or if the filename of another file will be rendered. Let’s move on another WordPress upload function. This time, the function is the media_handle_upload. We will use the same function and we will not erase the functionality that we have added before. By doing that you can decide how you will upload your file and also with some other posted data we can decide which uploader to use because there can be different situation which will need a different way of uploading the file. So at the beginning of our function we are defining a variable that will hold the number of the uploader we want to use. Below we have wrapped both uploader in IF statements. So since we are now using the number 2 uploader we are using the media_handle_upload. If you want to learn more about that function visit this link. I will now explain only the wrapped code under the uploader number 2. We are immediately calling the mentioned function where we are passing the string which is the key of our file upload. The second parameter is the post ID to which we want to attach this file. Since we have passed a zero (0) this function will not attach the file to any of the posts. Once we have used that function we are checking if the variable is a WordPress error and if it is, then we are setting the ERROR response and we are getting the error message from our data variable where we have stored information about the uploaded file. If there is an error with the uploaded file, we will have a different number under the key error. We are then passing that number to the array fileErrors which holds all the error description for each error number. If the attachment ID is not a WordPress error but a real ID we are getting the full path to the uploaded file. Then we are using a PHP function pathinfo to get some data about that file. From that data we can get the filename and the extension. If the extension is of an image type such as a jpg or png, we are extending the variable type with additional info to match the type in the AJAX success function. In that way, if the file is of extension jpg, jpeg, png or gif we will send image/jpg, image/jpeg, image/png or image/gif and not only the extension. We are also getting the URL of the uploaded file with the WordPress function wp_get_attachment_url. We will not create our own custom WordPress file upload by uploading our files to the folder custom. This can be defined by you in any way you want. You could also added another layer and upload files to a folder named by the ID of a logged in user or something similar. For this example we will just upload the files to a folder custom. I will now focus only on the wrapped code for the uploader number 3. Don’t forget to change the number of the variable ibenicUploader to number 3 so that this function can use that uploader. So at the beginning of that wrapped code, we define several variables where we store information about the path to the upload folder and then using that information we are also creating two other paths which are the paths to our custom folder in the URI and URL form. We are then checking if that folder exists and if it doesn’t we are creating it. After that we are getting the filename and then we are replacing all the empty places in underscores “_” so a file such as “Picture of me” will be “Picture_of_me”. We are now setting other information about the uploaded file such as the size, error and temporary name. We are also creating a variable mb which will hold the maximum file size that is allowed to store. After that we are checking if there is an error inside the information about the uploaded file and if there is we are setting the ERROR response with the error message. If there is no error, we are checking if there is already a file there with the same name and if there is one, we are again setting the ERROR response with the error message that such file already exists. If there is no file error and the file does not exist already, we are checking for the size of the file. If the file is too big we will set the ERROR response with the error message that the file is too big. But if the file size is under the set size in the variable mb we can start saving the file in our custom folder. If the file was successfully moved from the temporary folder to our custom folder, we are setting the SUCCESS response with all that required information. If the file was not successfully moved we will again set the ERROR response saying that the file upload failed. Here we have added two calls for the function add_message. One is when the response if SUCCESS and one is when the response is ERROR. We have also removed the alert for the error part since now we have a method to show the error message in a fancy way. When the user click on the Delete button we will read the file url from the data attribute data-fileurl and add that data with the name of the action. Then we will create an AJAX call on it. In the SUCCESS callback function we will hide the preview box and show again the upload box. If the response is ERROR we will just show the error message given from the server. Here we are checking if the global $_POST variable is set. If it is set we are getting the information about the file url and then we are checking in the database if there is an attachment with that url. If that return true we are getting the ID of that attachment and then with the WordPress function wp_delete_attachment we are deleting the file. If we did not get any information from the database then it must be a custom uploaded file. We are then getting the filename from the url and then we are creating the URI to the file. Here we are referencing the path to our custom folder. If you have named your folder differently then create the URI with your name. After that we can use the PHP function unlink and delete the uploaded file. With this simple steps we have secured our upload and delete with WordPress Nonces. WordPress file uploads can be done in many different ways. In this article we have covered only a few but there are also some other WordPress API functions that can upload files in WordPress. Have you ever done something similar or developed a file uploader for WordPress? Share your experience in the comments below. The first thing you need to do is set up your HTML form that will allow the user to select the file(s) that they wish to upload. To keep things simple lets use a standard <input> element with the file type. Notice that the <input> element includes the multiple attribute. This will allow the user to select multiple files from the file picker launched by the browser. If you don’t specify this attribute the user can only select one file. First of all you need to create three variables that hold references to the <form>, <input>, and <button> elements in your HTML markup. Next you need to attach an event listener to the form’s onsubmit event. Inside the event listener you start by calling preventDefault() on the event object passed into the handler. This will prevent the browser from submitting the form, allowing us to handle the file upload using AJAX instead. Next you update the innerHTML property on the uploadButton to Uploading.... This just provides a bit of feedback to the user so they know the files are uploading. Your next job is to retrieve the FileList from the <input> element and store this in a variable. You can do this by accessing the files property. You then create a new FormData object. This is used to construct the key/value pairs which form the data payload for the AJAX request. Your next job is to loop through each of the files in the files array and add them to the formData object you just created. You’ll also want to check that the user has selected the type of file you’re expecting. You then use the append method on the formData object to add this file to the data payload. The FormData.append() method is used to handle Files, Blobs, or Strings. The first parameter specifies the name of the data entry. This will form the key in the data payload. The second parameter specifies either a File, Blob, or String that will be used as the value for the data entry. When appending a File or Blob you can also specify a filename, but this isn’t required. Next you need to set up the XMLHttpRequest that is responsible for communicating with the server. To do this you first need to create a new XMLHttpRequest object. You now need to create a new connection to the server. You do this using the open method. This method takes three parameters. The HTTP method, the url that will handle the request, and a boolean value that determines whether the request should be dealt with asynchronously. Next you need to set up an event listener that will be triggered when the onload event is fired. Examining the status property of the xhr object will tell you if the request completed successfully. All that’s left to do now is send the request. Pass the formData object to the send method which is available on the xhr object. 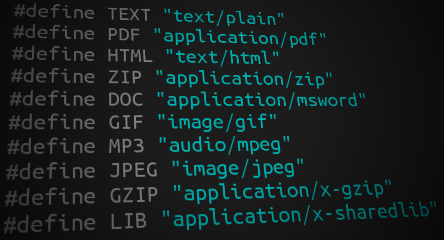 That’s everything you need to know to start uploading files using AJAX. Your server-side code will need to extract the files from the request and process them as desired. Browser support for the technologies used in this post is generally good. Internet Explorer being the only exception. You will be okay with IE 10 and above, but earlier versions of IE didn’t include support for some of the XMLHttpRequest features covered in this post. How do you plan to use AJAX file uploads in your projects? Share your thoughts in the comments below. The API I wrote about in this article has been removed from recent versions of Firefox. Instead, you can now use a FileReader object to read files on the client, and a FormData object to serialize such file values and POST them using asynchronous requests. These two objects are also available in Chrome and Safari, possible other browsers too. However, I'll keep the old article here for posterity. Here goes. I don't know about you, but there's one little thing I've always hated about Ajax. The impossibility of file uploading. I still remember the ugly day when I discovered the terrible truth. There was no chance on earth you could send a file using an XMLHttpRequest, thus workarounds appeared. Google made use of a hidden iframe to imitate such an asynchronous call for their Gmail service, and later on, Flash based uploaders appeared. Things are though going forward. However, if you're not into reading this long article, just go ahead and look at the complete source code in my GitHub repo. The getAsBinary() method will read the contents of the file and return them in binary representation. If you select a binary file, an image for example, you should see some weird characters, question marks or even rectangles in the alert, this is how Firefox represents the bytes contained in the file. For a text file it will simply output its text. The SIZE attribute might be specified using SIZE=width,height, where width is some default for file name width, while height is the expected size showing the list of selected files. For example, this would be useful for forms designers who expect to get several files and who would like to show a multiline file input field in the browser (with a "browse" button beside it, hopefully). It would be useful to show a one line text field when no height is specified (when the forms designer expects one file, only) and to show a multiline text area with scrollbars when the height is greater than 1 (when the forms designer expects multiple files). None of the browsers I tested this in seems to obey the RFC, nevertheless this should be the reason for which the files property is an array-like object. As you see, there's an undefined variable in the above snippet, data, which remains to be defined after we review the mechanism behind files upload over HTTP. For the moment though, I want to talk about the server-side part, as it will guide us in choosing the appropriate strategy for sending binary information. That's all we need on the server. Although simple this we'll give us valuable feedback about the sent data. The PHP script should list our uploaded files inside the $_FILES array and any additional form data (like text INPUT or SELECT element) inside the $_POST array. As we saw, PHP treats POST-ed files differently than ordinary form field values, so it's only natural to ask ourselves what's the "clue" that helps PHP tell apart one from the other. As per the standards, every such header should end with two characters, a carriage return and a new line: CR and LF. The last header doubles this sequence (i.e. it ends with CRLFCRLF). In case you didn't noticed, the boundary, when used in between the parts is prepended with two hyphens and the last one appended with also two hyphens. Don't forget about this, it's an ugly source of bugs. In case you didn't understand the elements() construct, this is called a getter and is supported by the latest versions of Firefox, Opera, Safari and Chrome. A setter form is also provided. You can find more about these on Mozilla Developer Center. Although it looks complex, it has a fair amount of comments so that you won't have hard times understanding what it does. It simply iterates over an array of HTML elements and for each such an element constructs a different message depending whether the element is a file upload input or not. It pushes this message into an internal array, which is finally joined using the boundary sent as an argument inside the send() method. The snippet above grabs all the INPUT and SELECT elements inside the FORM element associated with the Uploader object. These elements are eventually returned into a unified array. There are, however no checks on these elements, like filtering disabled controls. Furthermore, the RFC specifies that a client should send form data in the same order it was rendered in the user agent. For keeping the examples as short as I could, the method above doesn't take care of that, but the code inside the accompanying archive does. The code inside is building a string based on the current timestamp to which some other characters are prepended. I'm using the uppercased word "AJAX" and some dashes, but this prefix isn't mandatory, the only condition that must be met is that the result of generateBoudary() should not appear anywhere else in out request except for the boundary placeholders. Save the source of the Uploader object in a file called "uploader.js", we'll use it in a few moments. That's all. You may now test the application, which will hopefully work from the first run. Don't forget to install Firebug to inspect what's happening behind the scenes. I will show you how to upload a file using PHP, AJAX and jQuery without page refresh. This file upload tutorial example is very helpful to implement the upload functionality. In this example the file is selected using the browse button and file is uploaded to the ‘uploads’ directory. PHP script stores the file into the defined location and returns response as a success or failure message from the PHP script. As a validation step I have added only to check if you have selected a file for uploading or not. 2. HTML page with upload field. 3. PHP script to store the file. If you try to upload file without selecting any file then you would see error message “Please choose a file”. If the file successfully uploaded then you will see success message “File successfully uploaded : uploads/<some-file-name>“. If the file you are trying to upload already exists then you will see a message “File already exists : uploads/<some-file-name>“. Hope you have got an idea how to upload file using PHP, AJAX and jQuery. I have implemented a multiple file select with instant preview and upload after removing unwanted files from preview via ajax. Ajax file uploader is useful web tool, which is actually very easy to create with jQuery and PHP, and with new HTML5 FileReader API support, we can do client side file validation before even uploading the file to server. Today we are going to combine all these web features to make an Ajax based file uploader, which can be easily integrated into any HTML forms. HTML contains file input field, upload button, progress bar and DIV element to output server responses. Only thing to notice here is «multipart/form-data» attribute, it is a data encoding method available in HTML and we always need to include this attribute in our HTML form tag, when creating file upload forms. Since we are using jQuery, I’ve included jQuery form plugin in our upload form to make things easier. It offers so many options to manipulate form with minimal code, which is great thing, because we can focus on other things like HTML5 File API. The FileReader is a powerful new feature of HTML5, which lets us read the contents of files locally, validating file is easier than ever. Earlier people used different methods to achieve the same, but it was a daunting task. We only need these few lines of jQuery code to actually send our file to server using Ajax, with jQuery Form plugin included in our page. No more code is required, but as you can see it also accepts various options such as «beforeSubmit«, «success«, «uploadProgress» etc. (You can find more options here). which can greatly extend the functionality of our form, we can just create block of functions and call them within the option. Let’s write a beforeSubmit function, which will be called before uploading the file to server, and it is our important piece of code here, because we are going to use HTML File API in it, which will validate the file size and type locally. Since more and more browsers now support HTML FileReader, I think we should definitely use it more often in our upload forms. The following code accesses the browser File API support and checks whether the user is trying to upload right file type and its size is under the allowed limit. Older browsers will get an error message asking to upgrade their browser. It’s always a good idea to include a progress bar in our file uploader to track upload progress, since we are dealing with different files and unlike images, other files can be bigger in size and can take quite a long time to upload. The jQuery form plugin passes several progress information to our function (If supported by browser), which we will capture and use to animate our progress bar.